In November of 2018, I left my job and country to move across the ocean for a GIS internship with The International Peace Information Service (IPIS). As I boarded my plane, I was full of anxious anticipation at what would await me in Antwerp, Belgium. 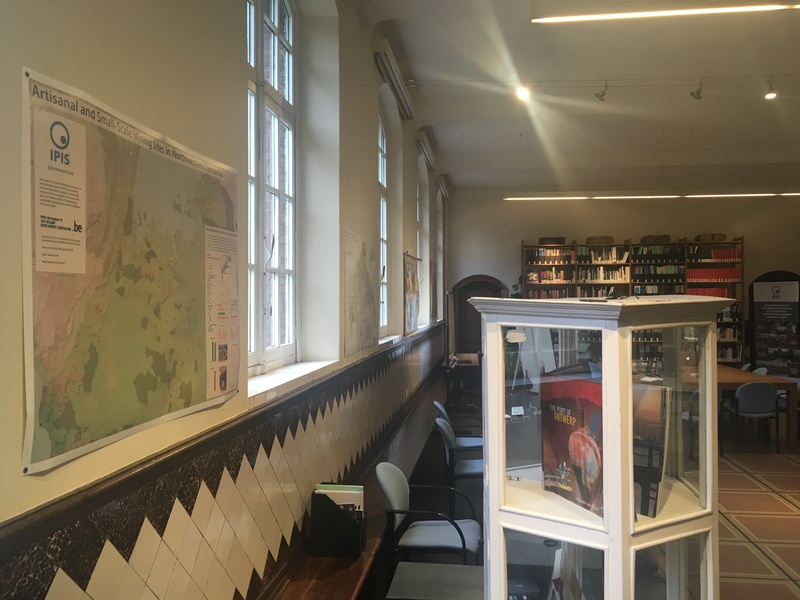 I had no idea what to expect, but I was full of visions of big beautiful maps of Sub-Saharan Africa, reports documenting the realities of life as a gold miner, and the bustle of a dynamic European Research Institute. 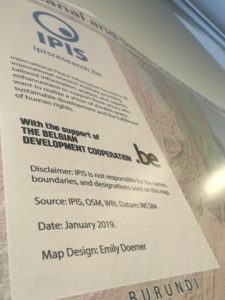 I hoped that my time at IPIS would introduce me to new data visualization techniques and would better acquaint me with the world of map making in a humanitarian context. When I first arrived at IPIS, I remember thinking the quiet office hallways seemed at odds with the context of the reports IPIS produces. But it is precisely this relaxed, open, and peaceful atmosphere which fosters the intelligent discussion and innovative thinking that is so apparent in IPIS reports. Fueled by cups of coffee and fresh fruit, the IPIS team of experts welcomed me in with open arms and were always willing to answer my questions, direct my focus, and engage in lively discussions. While at IPIS, I had the opportunity to contribute to projects on mining in the Democratic Republic of Congo, transhumance and conflict in the Central African Republic, artisanal and small-scale mining in Northeastern Tanzania, and international arms trade to Saudi Arabia. Each project expanded my understanding of the world and pushed my cartographic skills. I started by editing imagery in JOSM (java for OpenStreetMap), progressed to using Google Earth Engine to calculate normalized difference vegetation index (NDVI) and normalized burn ratio (NBR), then used R (specifically the dplyr and ggplot libraries) to calculate statistics and make visually appealing charts, and finally tested the limits of the QGIS composer to create a poster. In total, IPIS published four maps, one infographic, and several graphs that I authored. I am proud to add my name to the list of IPIS contributors and grateful for the opportunity to grow my portfolio. It has now been three months since I first started at IPIS and once again I am about to board a flight, this time back to the United States. I am no longer full of eager expectation. Instead, I feel nostalgic as I reflect on my brief, but impactful time at IPIS. 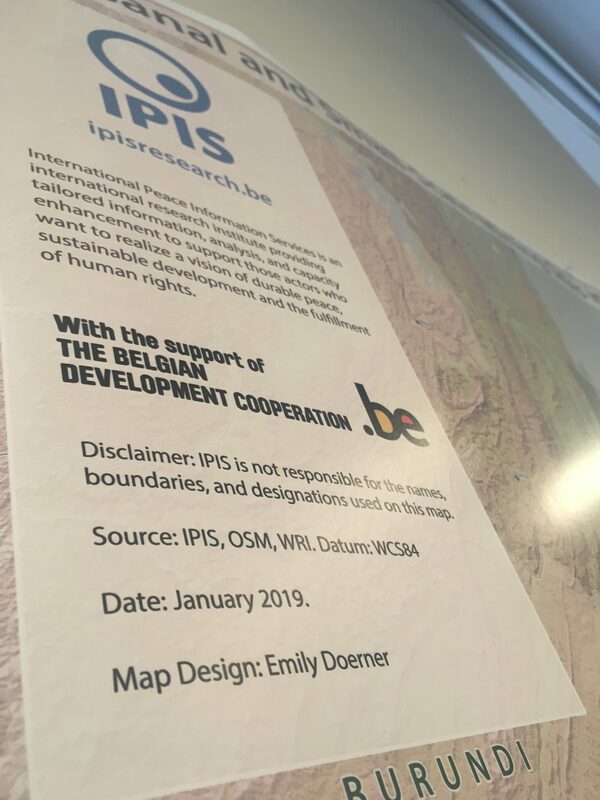 I do not doubt that the skills and connections I made at IPIS will help to further my career and have made me a more confident and competent GIS professional. If like me, you are looking for an opportunity to explore some of the worlds most pressing issues while growing professionally, you need to look no further than IPIS. Anyone should count themselves lucky to join the team for any amount of time. I know I do.